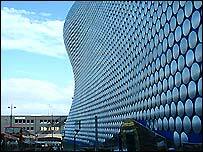 BBC NEWS | UK | England | West Midlands | New Bullring but same old problems? New Bullring but same old problems? The latest incarnation of Birmingham's famous Bull Ring is being opened on Thursday to a fanfare of "dance and pageantry". 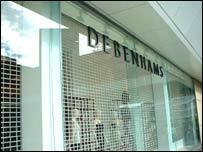 Billed as a new, exciting and stimulating shopping experience its gleaming exterior has grown from the ashes of the derided 1960s design, demolished in 2000. Newly named the Bullring, one word instead of two, developers behind the £500m project say its 140 shops, including big names like Selfridges and Debenhams, will finally put Birmingham on the retail map. But despite the futuristic architecture, some city design experts believe the new Bullring brings limited benefits to Birmingham and could face the same fate as its concrete predecessor. 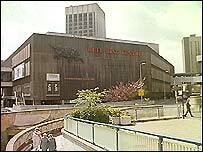 Joe Holyoak, architect and principal lecturer in Birmingham social architecture and landscape at the University of Central England, called the Bullring a "missed opportunity" to encourage people into other parts of the city. He praised the pedestrian connections to New Street and High Street, although said they could have been better. "They are only there to seize the customers on foot using the established shopping area on that side of the development. "On the other side, Digbeth, where people are not going to walk in from I think the connections are very poor." He feared the redesign of the Bullring had not gone far enough. "It still relies too much on indoor malls, private indoor streets which are not generally public spaces, for retail use only. "It is just a shopping centre and the only reason for someone to go there will be to shop." He pointed to European cities as being more "stimulating", combining a complicated mix of retail, economic, entertainment and residential functions. "I'd put the same life span on what's opening this week as the 1963 Bull Ring, about 40 years," he said. Austin Barber, lecturer at the centre for urban and regional studies in the University of Birmingham, agreed saying the design is "still pretty monolithic" and replicated other shopping centres. "It is one dimensional which is quite surprising as it goes against current thinking of what's good design," he said. "It is not very adaptable space. As retail and consumer trends change and the city evolves it doesn't lend itself to being easily converted." And he shared concerns with Mr Holyoak that the new development is too dependent on private cars, with 3,000 car parking spaces provided but little new public transport infrastructure. "If Bullring is very successful there is a danger of contracting on its own success as the city becomes more redeveloped." He warned Birmingham may have to wait about three or four years for the city to adjust to Bullring and for positive effects to be seen. But he suggested more independent shops, which may struggle to afford premises in the city centre, could be attracted if larger stores vacate units to move to Bullring. "The key for Birmingham is to diversify out, it has to offer distinctive places," he said. "Bullring puts the area into play, it raises both the potential and the risks." And Jerry Blackett, policy director at Birmingham Chamber of Commerce, called on landlords in traditional shopping areas to "react to market forces" and drop their rents. He said the Bullring would boost the local economy and hoped it might encourage funding for a better transport system . The developers defended the Bullring's design saying it has opened up the city and will see its retailers thrive. Mel Evans, from the Birmingham Alliance, said: "The only reason why it is 100% shops and cafes is because Birmingham, before Bullring, had nowhere near enough retail for its size, compared to other cities." She dismissed fears of traffic problems saying there are several ways to get to Bullring and the rest of Birmingham. "We will be working with the rest of the city, promoting itself to encourage people who come into Bullring to also go and do other things," she added. "A bold design for a city that's spending billions reinventing itself"
Junkitecture: Goodbye to all that?